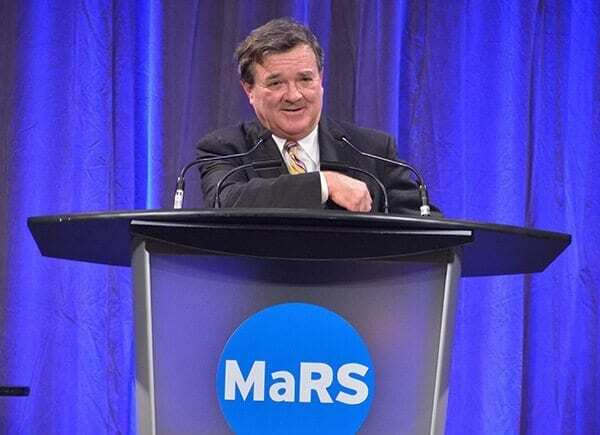 As one of the co-founders of MaRS, I was deeply saddened at the news of the sudden and unexpected passing of my friend and one of MaRS’ public co-founders, the Honorable Jim Flaherty. I first came to know Jim in 2002 when the co-founders were trying to gather the necessary funds to get MaRS started. We were seeking support from the infrastructure fund of the day, SuperBuild, which required that we provide matching funds for the $20 million we were requesting. 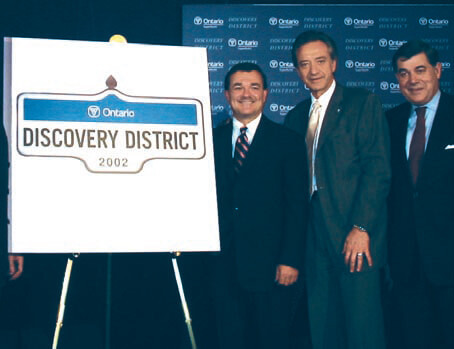 At the time, Jim was the Ontario Minister of Finance, the one whose approval was critical in order to proceed. David Lindsay, the President and CEO of SuperBuild, guided us in our approach to Minister Flaherty. We had already mobilized $17 million of the matching money, and with our promise that we would provide the balance, Minister Flaherty approved our request and set the announcement date. Rain came down that morning as we gathered on the corner of College Street and University Avenue in front of a sign to be unveiled, announcing the launch of this great new initiative. Minister Flaherty, along with Dr. John Evans, other members of the team and supporters, stood in the rain that noon as Jim Flaherty made the pivotal announcement: the Government of Ontario would invest $20 million, matched by $20 million from both private donors (the College of Founders) and the University of Toronto. These funds would subsequently be matched by $20 million from the federal government. Our initial concept of creating a strategic partnership involving the private sector, two levels of government and academia had now officially come to life. The foundation had been set. And the political mason who laid the cornerstone was none other than Jim Flaherty, a fitting choice given the fundamental role he had played in launching MaRS. 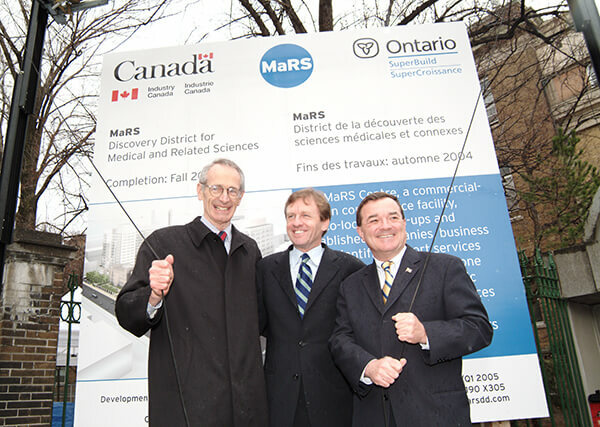 Over the ensuing years, Jim would often inquire about many of MaRS’ activities and successes, clearly proud of this innovation centre that he had helped launch. I will miss this fellow MaRSian, a sage advisor who was always ready to receive us and offer his counsel. He was a sterling example of what public service can and should be, and how one life can count for so much. I offer, on behalf of all of us at MaRS, condolences to his wife Christine and their three boys. This edifice, and the entrepreneurial initiatives that start and incubate here, will serve as a perpetual reminder of the key contribution he made to bringing life to MaRS.